No one realizes how beautiful it is to travel until he comes home and rests his head on his old, familiar pillow. Traveling Bangalore, was a memorable experience for me. City of Gardens, City of Kempe Gowda (who happens to be its founder had interesting stories), had all the mysteries and amazements. City of boiled beans, which is interestingly the literal meaning of its name, has everything to lure a traveler like me. The salubrious environment and the greenery all around and then you have opportunity to dig the past and unveil some some unknown stories and some unknown facts. After days journey, I crashed on my sweet old bed and closed my eyes, I could recall all the pretty places I visited. Those water falls, green gardens, fresh air, cool climate, clouds passing through hill tops and yes how can i forget world's most beautiful waterfalls! O the place had it all. Almighty god has blessed this place with immense beauty and hence forced me to pen down my experiences. So here it is. Before I started to travel, I was quiet skeptical about my decision visiting India. My friends and acquaintances had different stories to tell. I was scared of getting be fooled by local travel agents. Moreover there was a cultural difference. But I love traveling, its a passion to me. I decided to travel so that I can learn something about a country which boasts of diversity and its natural setting. It was to my utmost surprise, this travel did not bewilder me. Instead, it helped to know a different culture and grow better as a person. I could feel peace around me and hence relaxed in nature's lap, away from maddening New York city. Out of all places I visited Bangalore was most bewitching. Ornately carved Islamic style arches, the magnificent palace of Tipu Sultan, rocks, water sanctuary and what not! Nature has placed each and every element so perfectly and what comes out to be is a beautiful city, Bangalore. I feel profusely enriched after visiting this city. Among all the places I visited here, Jog Falls was most successful in winning my heart. Water falling from a height of 200km, making loudest noise possible can make even its view, a hair raising experience. 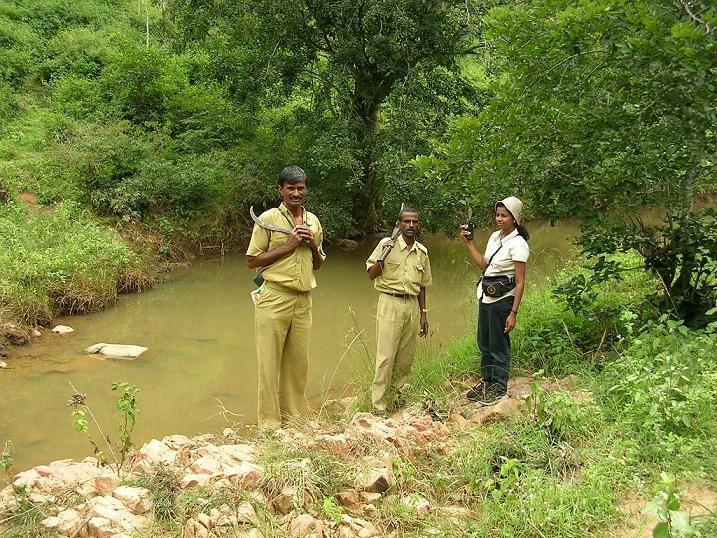 Bannerghatta National Park was a treasure trove of flora and fauna. Teak tress surround the park from all sides, making it a perfect habitat for wild animals like elephants, gaur, jackal, wild pig, sambar, chital and spotted dear. A ride through the jungle with an elephant jockey can be adventurous. The park is also home to 100 different species of birds making your adventure tour even more beautiful. 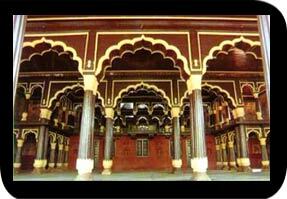 When I talk of beauty, how can i forget to mention Tipu's palace! Another masterpiece in the city of Bangalore. An intricately carved wooden palace and summer retreat of Tipu Sultan has alluring painted ceilings and charming side walls. A perfect example of Indian architecture. The most interesting thing about most of the forts and palaces in India is that they have been built on top of hills. And its hard to imagine how they managed to take all the building materials above without any trucks. Hats off to ancient architects and rulers! After Tipu's Palace, another memorable place that i can recall tonight is Bull temple and ISCKON Temple. The most interesting thing about this temple is this huge bull. First it is said to be the bull of Hindu Lord Shiva and second is that it keeps on increasing in length every year. My guide told me that local farmers offer their first harvest at this temple during a festival in the month of Nov-Dec. The ISCKON Temple at Bangalore which sprawls across the length of 405 football grounds. The temple is being run under International Society for Krishna Consciousness. It has beautiful idols of lord Krishna and also organizes laser shows and yoga sessions for its visitors. It was a moving experience. The temple calls you towards spirituality...after all the aura is such! Hmm..that was all that I had to share about Bangalore. Its hard to describe a city in few lines. I can share only my experiences but what I feel is hard to describe. I am going on to my bed again and gonna dream all night about resplendent Bangalore while you plan a trip to this enslaving city. I work in Bangalore. I haven't visited many places. But, I like its climate. I think the city is fast losing its beauty.